Considering my food scene knowledge is updated only till Mahabs, I had to ask my foodie friends for suggestions whenever I’m out of Chennai. 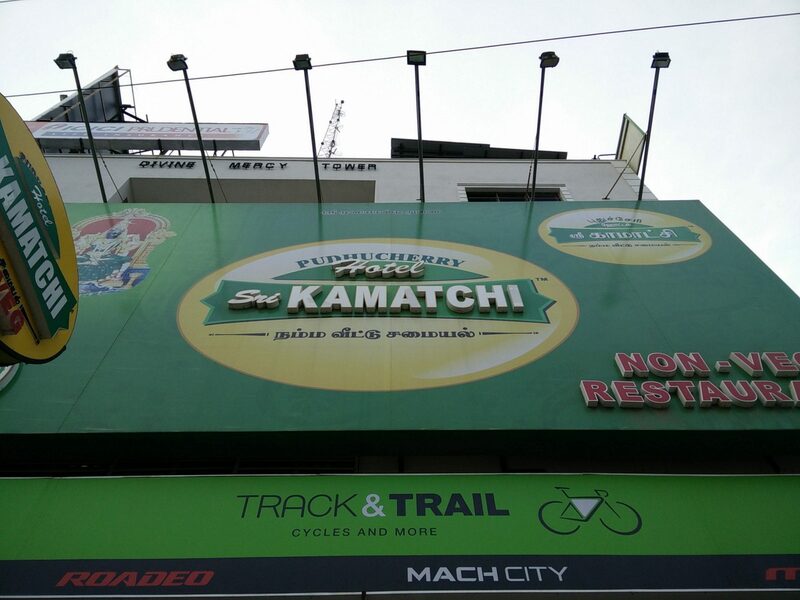 Thanks to my foodie friends, I reached Hotel Sri Kamatchi in Pondy along with my gang of buddies. We reached just a few minutes before their kitchen closing time but they were sweet enough to accommodate us. We got a Chicken Biriyani, Chicken Kamatchi, Mutton Kola and Karandi Omlette. It cost us Rs. 325 per person. Wouldn’t call it VFM but considering how this spot was a blessing in disguise, it was worth it.